I was recommended Hoss by a friend at my running club after getting shin splints whilst training for both Brighton & London Marathon. Hoss was so patient with me and gave me exercises and a plan that would get me through both of the marathons without making my injury any worse. I’m not the most patient and the injury was caused by doing too much too soon, but Hoss identified areas I was weak and helped me strengthen them. Without his help I don’t think I would have been able to run either. I love the app that the exercises get loaded onto and Hoss is always there with support and advice. Have since recommended him to friends and will continue to do so. We have been using Hoss for a number of years now to look after the sports injury needs of our sporting family, comprising a netballer, runner and two footballers. We couldn’t perform at our best without Hoss treating our injuries as and when they arise and providing us with the best aftercare and exercise programme to aid a quick recovery. He provides a personal service to each member of the family and we would thoroughly recommend him for all of your sports injury needs. I visited Hoss after sustaining a ligament injury in my foot playing football. I was impressed at his knowledge of the different ligaments and he instantly identified the damaged ligaments after performing a range of different exercises to test the movement. After my session, Hoss gave me resistance bands and a full programme to aid my rehabilitation which increased my recovery time, and also took the time to meet me at the clinic late at night to strap my foot up before a big football match the next day. All in all, a very professional, high class Sports Therapist that I would definitely recommend. I came across Hoss a little over a year ago after being recommended by the (sadly missed) guys at Intersport in West Wickham. My return to running had seen me routinely pulling injuries due to being overweight, under trained and over ambitious. Hoss was professional and patient, identifying issues, finding solutions and then picking up the pieces again when another part of the process fell apart. Sessions were relaxed (if a little painful at times), informative but ultimately worked. When you work with performance professionals you need to put your trust in their hands and follow their guidance. If you do not believe in the service and treatment they are providing, then they will never work. I am pleased to say that with the results that Hoss has provided i have no reason to doubt his treatment methods. Working with Hoss and a great coach I feel I have a team around me that can support my growth in fitness, challenge me to improve but also keep me conditioned so that injuries are fewer and less severe. Hoss has a relaxed manner, but cares for his patients. Whilst at first a surprise it has been refreshing to receive texts and emails occasionally to check that treatment plans are still working and appropriate or just to check that training is still on track. If you find yourself with training injuries, or long-term issues that you can’t seem to get rid of I would certainly suggest that you give Hoss a try. An utmost professional at all times Hoss has been a huge servant to Bromley Rugby Club and myself especially. From injury prevention to rehabilitation Hoss has gone far beyond the call of duty ensuring we stay match fit and perform to the best of our ability. It is without hesitation that I can say without his hard work, accuracy and expertise we would have never reached the summit that was Twickenham last season. His in-depth knowledge has helped me to overcome injuries ranging from recurring shoulder problems, torn hamstring and sprained ankles. His services could not come any higher recommended! Booked in to see Hoss after my Back and Shoulders were seizing up after aggravating an old Rugby injury. Hoss was professional throughout. He examined a range of my movements before methodically identifying the cause of my pain. Manipulated the area and gave me a set of stretching exercises to do on a regular basis, monitoring my progress and level of pain via an app on my phone. Stayed in touch throughout, and only booked me in for a sports massage when absolutely necessary. Was discharged after 3 sessions, but Hoss continues to enquire after my injury. 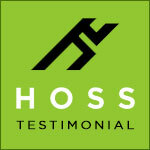 I have no hesitation in recommending Hoss for any Sports Injury evaluation and treatment, and general sports massage. Very reasonable rates, very approachable and empathetic to the type of injury. Hoss was my Sports Therapist when I was captain of RWS 1st XV. He attended to my injuries all year, specifically my shoulder. When we reached the Daily Mail National U18 Vase National Final, I got injured 2 weeks before and Hoss got me fit and ready to play. He didn’t just forget about me either, he gave me exercises to do and also checks up on me regularly. I’ve known Hoss for a few years now and I’ve never been short of confidence that any niggling injury I picked up would be well assessed and treated. Hoss set me a precise and thorough prehab routine which has really kick started my season. I started training for the London Marathon 2013 in September 2012 and as a novice runner as soon as I started training I had repeat issues with my lower back. I visited a number of chiropractors who clicked me around a lot and provided relief in the short term but they didn’t address the root cause and usually a week later the same back issue had returned. I had a discussion with an experienced marathon runner at work who suggested that what I needed what a sports therapist rather than a chiropractor as there may be issues with my running style. From my very first visit to Hoss I found him unlike other specialists I had seen in the past concerning my back. He looked at me like a sportsman (which was very flattering) and started talking about not only relieving the immediate issue but also building my body in such a way that I could prevent issues in the future. Hoss went above and beyond what I would have expected from then on, providing me with an initial massage to ease my pain but also following up with exercises, stretching routines and even nutritional information to assist with my marathon training. A year later I am still running 4 times a week, I also attend his running workshop where he helps runners build up the right type of muscles for running and these days I only go to see him when I am foolish enough not to listen to his advice with regards to stretching, warm-ups and warm downs and exercising the muscles I need to create a strong core. Whenever I recommend Hoss to friends I always say I like smart people who know how to do their job and he is definitely one of those people. 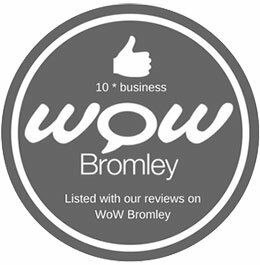 I was introduced to Hossen Solim via Adrian Beckett, one of the coaches of both Ravens Wood School and Bromley Rugby Club U15’s. Hoss treated me for plantar fasciitis, which is a condition of the foot, the symptoms of which are pain in varying parts of the lower foot, swelling, loss of movement and discomfort. Hoss recommended a treatment and rehab plan consisting of a course of Sports Therapy, exercise and rest, along with regular cooling episodes with an ice pack. The effect of this was, as predicted by Hoss, not a speedy process but with regular, consistent adherence, has now led to a full recovery. I have every faith in Hoss, his diagnosis and the treatment he had suggested. I would have no hesitation recommending him to anyone with similar conditions or requiring treatment of the back as I have also been successfully treated for mild back pain by Hoss. Hoss has done some great work on my multiple injuries over the years in order to keep me running around the rugby pitch. A special mention to the work on my shoulder that has allowed me near normal movement. I was recommended to Hoss through a friend in January this year after picking up an injury in preparation for the London Marathon. Minutes into the first consultation, Hoss was able to identify the problem as Iliotibial Band Syndrome (ITBS) and subsequently began to treat the injury and provide me with a comprehensive rehabilitation programme. Not only did Hoss treat the injury well, he was also able to identify other factors that contributed to me getting the injury and suggested solutions aimed at both rectifying the problem and preventing it in the future. But the thing that impressed me the most about Hoss was the way he went extra mile for me. The injury was being particularly stubborn and the marathon was drawing ever closer so Hoss offered to go on a run with me in his own time to see if there were any mechanical / issues with my technique that were causing the injury, which there were, and allowed him to provide further advice on combating the injury. In between appointments and even after I had recovered, Hoss would check to see how I was getting on with my training and provide more general advice about running and nutrition, for which I was grateful for being a first time marathoner. He is passionate about his work, conducts himself in a very professional manner at all times and goes above and beyond for his clients, and for these reasons, I would highly recommend Hoss to anyone.